A second bush region is making moves to regain control over municipal and other services, under a banner of self determination. Several communities in the Utopia area north-east of Alice Springs have formed the Urapuntja Aboriginal Corporation (UAC). 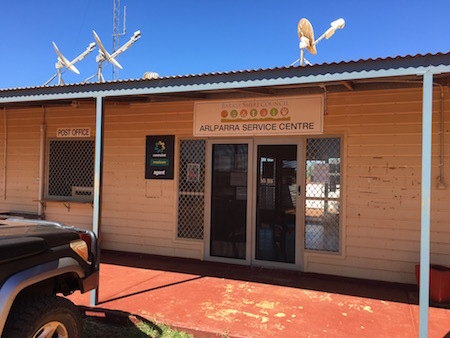 According to its administrator, Michael Gravener, it “is developing a business plan aimed at building capacity to resource the homelands of Utopia which includes Centrelink and post office services, and – over a transitional period of about three years – take control over services and functions currently performed by the Barkly Regional Council and other entities”. A similar move is under way at Amoonguna, just outside Alice Springs. Mr Gravener, appointed only a week ago, says the local traditional owners have decided to regain the independence they had prior to the Intervention and the advent of local government in the bush. He says like in Amoonguna housing maintenance is a major problem. UAC is negotiating leases of land for offices and other facilities from two Aboriginal land trusts. Mr Gravener says the corporation expects to work in its endeavours with the Barkly Regional Council and the Office of the Prime Minister. A quick response to your comment, Fred. The article is about an Indigenous community-controlled organisation voluntarily electing to take over the delivery of local municipal functions and service provision themselves. I suggest that this is a hugely proactive, resourceful undertaking requiring great drive, skilfulness and commitment. In the town I live in, I merely pay my rates and hope the council does the rest. Second thoughts: Having their own independence would be great for them. Let them fix and build their own homes and pay for the materials. This would also be a great saving to the local government. I just hope they have enough indigenous workers to do all the works they require. Urapuntja Aboriginal Corporation (UAC) I fully support you. We stand firmly on your (Apmere) ground to fight for what belongs to you. Self determination and community control was promised at Wave Hill Freedom Day meeting. I was there when the Minister promised this. Dedication, determinations, devotion and direction is all our people need to support each other. It’s amazing they want to turn their backs on local government, but still want Centrelink payments. If left up to them very little will be achieved. These people are too lazy to even build their own houses.